These are presentations I've given at past Virginia and Truckee Railroad Conferences. Comments / corrections / suggestions welcome! Click on the pictures below to download each presentation. These are in .ppt or .pptx format, and should be able to be opened in relatively recent versions of Libre Office, Open Office, and Microsoft Office. Viewing the history slides in presentation / full-screen mode is recommended. 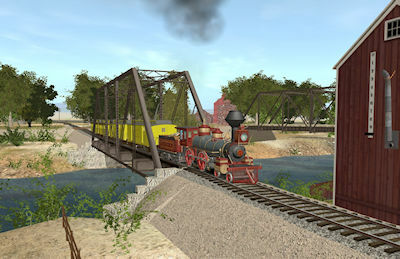 An introduction to virtual railroading in general, with some specifics of modelling the Virginia and Truckee Railroad in Trainz. Given at the first V&T History Conference in 2010. 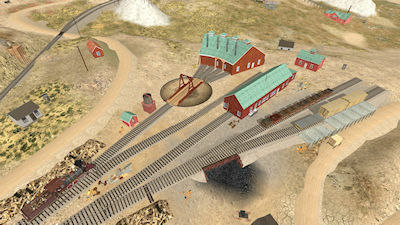 An illustrated representation of changes to the engine yard in Virginia City from 1869 to present day. Given at the 2011 V&T History Conference. 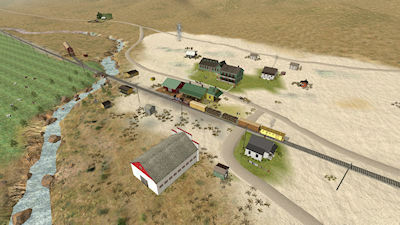 An illustrated representation of the V&T yard in West Carson City from 1870 to the present. Presented at the 2012 V&T History Conference. An illustrated representation of Steamboat Springs during the time of the V&T (1871 through 1950). I still need to add a slide for the short-lived siding added for the Corbett-Fitzsimmons fight in 1897. Presented at the 2013 V&T History Conference. 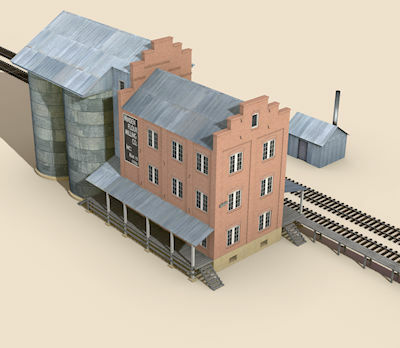 An illustrated history of changes to the Minden Flour Mill from 1905-1950. Presented at the 2014 V&T History Conference. Expanding on the previous year's presentation; this looks at the changes to the town of Minden during from 1905-1950. Specific attention is given to facilities involved with the railroad. Presented at the 2015 V&T History Conference. 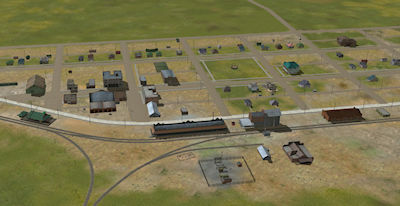 Showing the evolution of the V & T's Carson City Yards from 1869-1950. Presented at the 2016 V&T History Conference. 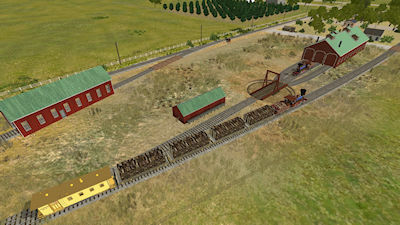 Showing the evolution of the V & T's Reno Yard from 1871-1950. Presented at the 2017 V&T History Conference.